As I mentioned in A to Z Denver Breweries, I'm starting over at the beginning of the alphabet. 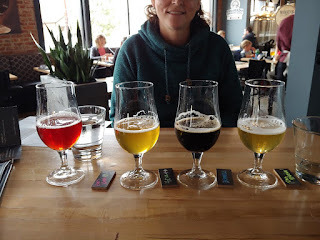 My "A" brewery this time around was ... A is for Alternation Brewing Company. After "A" comes "B", so I needed a Denver Brewery that started with the letter B. Last time, I chose B is for Baere Brewing Company, so obviously I couldn't pick that one. Turns out that there are a bunch of choices for "B" breweries in Denver. 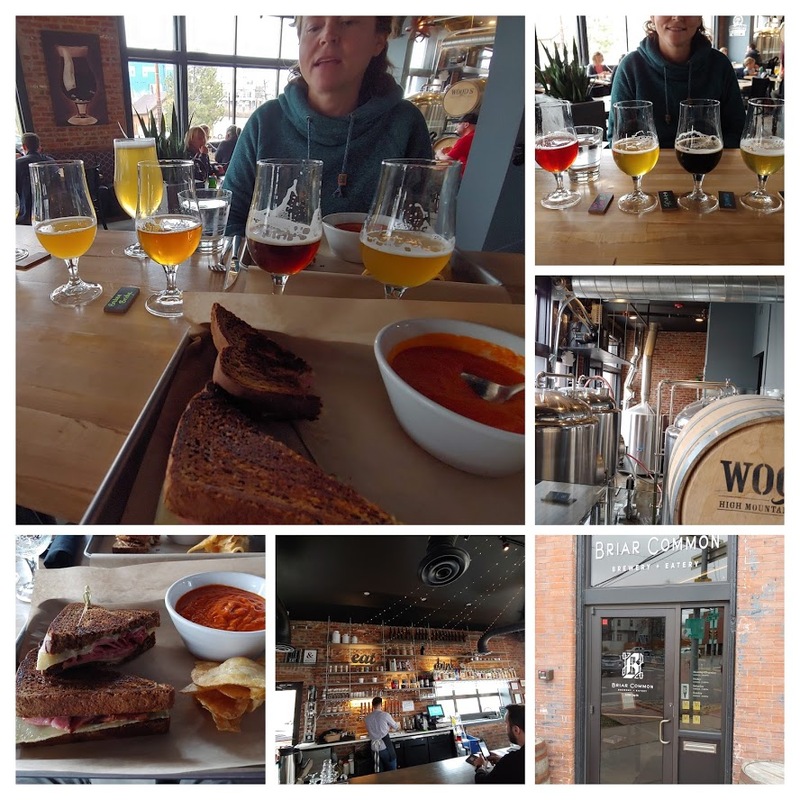 After my brew day last Friday, for no particular reason, The SheppyBrew Beer Model and I drove to Briar Common Brewery + Eatery in the Jefferson Park neighborhood of Denver. 2298 Clay St. Denver CO 80211. Right on the corner of 23rd and Clay street. A few blocks from Mile High Stadium. The "Eatery" part meant we could have lunch there without bringing our own food. That was nice. As per usual, I ordered flights. Their menu allowed for flights of four. Das Bueno Mexican Lager ... A crisp refreshing "German Style" Mexican lager. Very nice. Bramble Imperial Stout with Raspberries ... Dark chocolate with complimentary raspberry tartness. Delicious. 40 Pound IPA ... A wonderful West Coast IPA with lots of orange peel, pine, and floral hop flavor. Bee's Knees Raspberry Honey Blonde ... A nice lite blond with a touch of raspberry. Broken Bridge Hazy IPA ... Grapefruit juice centered, citrusy hazy IPA. 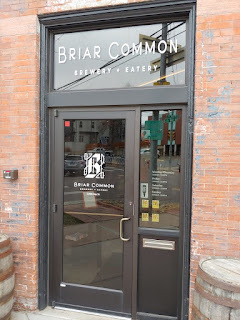 Briar American Pale Ale ... A wonderful hoppy APA. Graham cracker, clover honey, and grapefruit aromas. Cascade, Columbus hops. Lanham Belgium Dubble ... Dark amber in color, with prune, blackberry and floral aromas. Hobart Belgium Tripple ... Honey crisp apple, wonder bread and white pepper aroma. When the waiter realized that I had ordered all their beers but two ... he brought those out to me too. What a nice guy! Sour Seoul ... Bright Asian pear with just enough heat to create an addiction. Great lactobacillus flavor. Rochus Porter ... Fantastic burnt toffee, bitter chocolate, dark roast coffee and mint aromas. 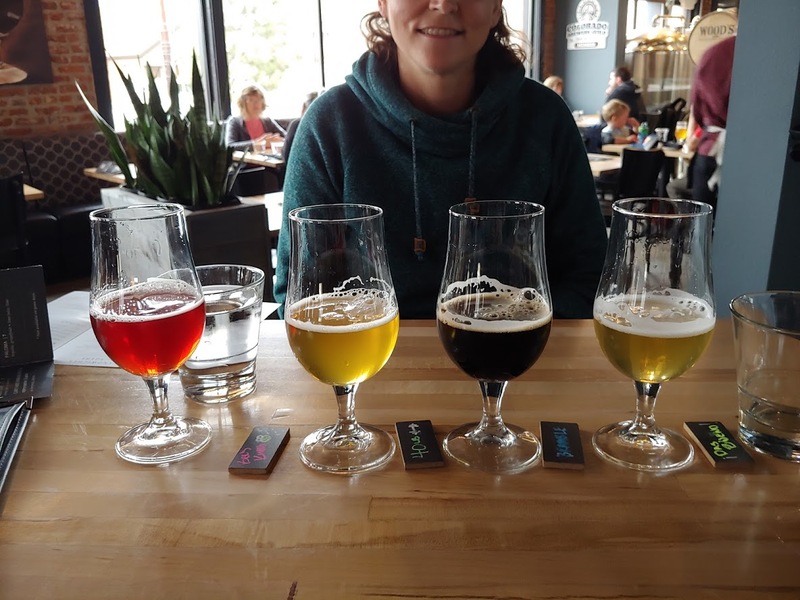 I honestly thought every one of these beers was awesome. It is rare that I visit a brewery where I love so many of the beers on tap. And the food was fantastic as well. 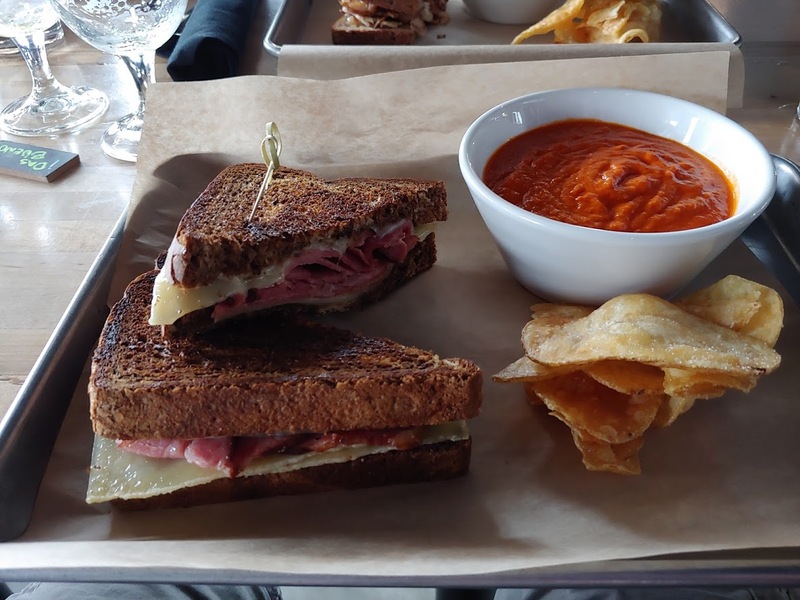 I had a grill ham and cheese with the best tomato soup I have ever tasted. The SheppyBrew Beer Model also had soup and a sandwich, both of which she loved too. 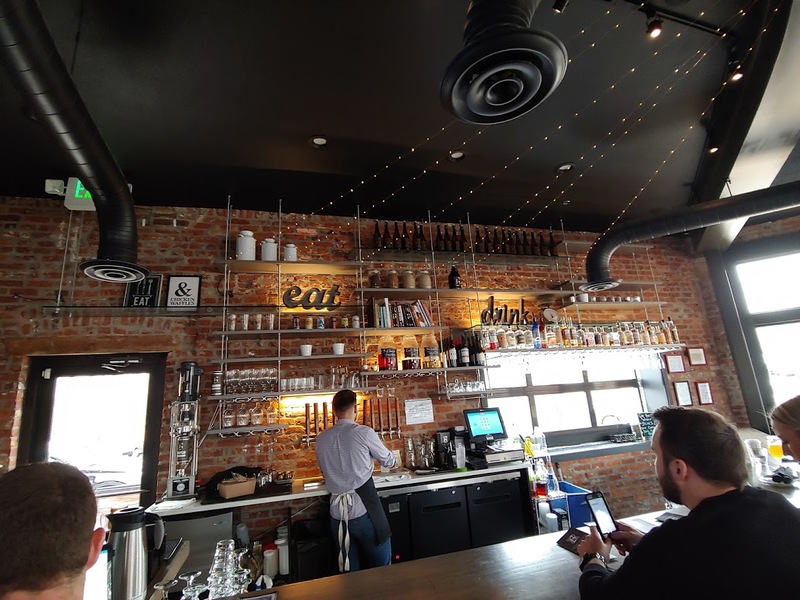 As far as a total package, I think this is the perfect neighborhood brewery. Great location. Awesome atmosphere. First class beer and delicious food. Their AHA discount is 15% off the entire bill, which is pretty good. I am glad I picked this as my "B" brewery. 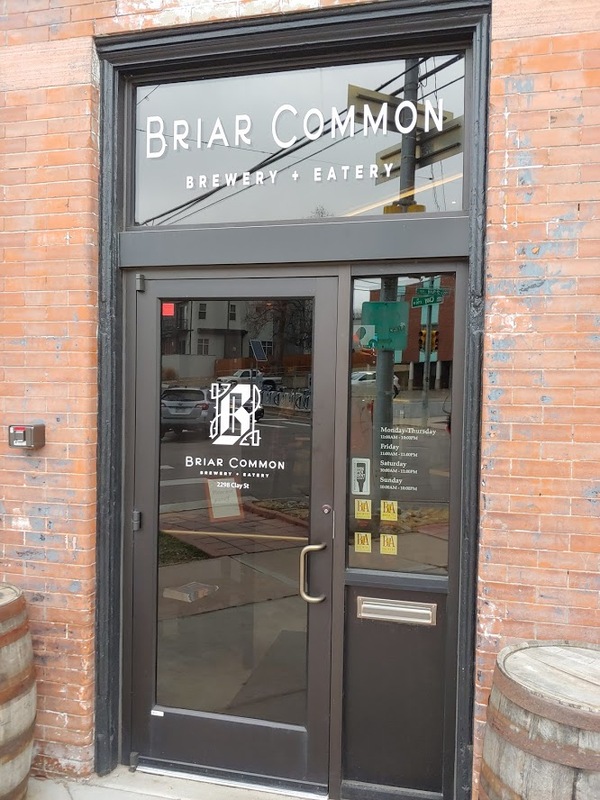 If you are in the area and are hungry, thirsty, or both, check out Briar Common Brewery + Eatery . You won't be disappointed. Similar to "B", there are lots of "B" breweries in Denver for me to choose from. 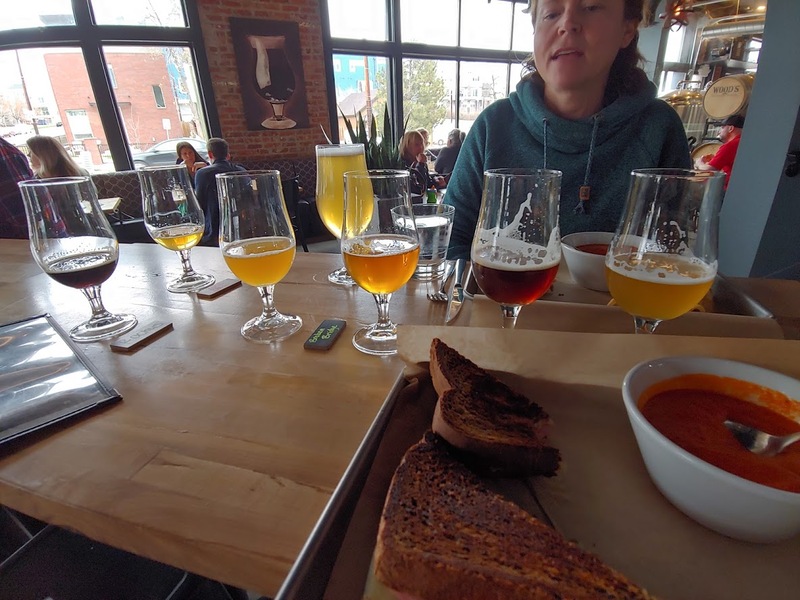 If you are reading this blog and know the Denver craft beer scene, feel free to make suggestions. 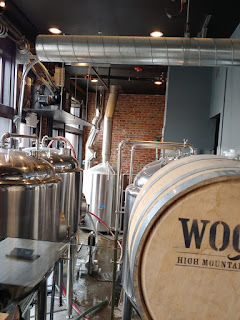 As always, you can see all the breweries I've visted by checking out Sheppy's Blog: A to Z.